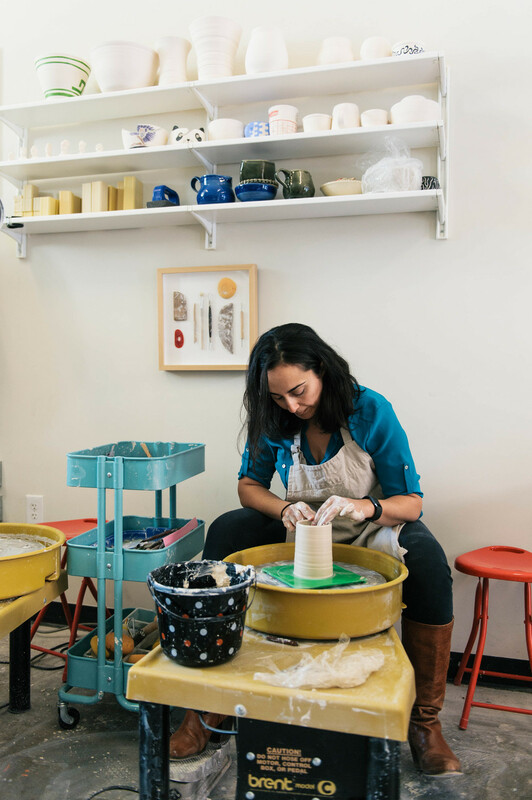 Pottery for both Lisa and I started as a hobby and we loved it so much that we made it into a business. We were both resident artists at a studio in Brookland, and we worked well together, so when the opportunity presented itself, I asked Lisa if she would like to join me and she accepted. What influences you/where you you get your inspiration? I appreciate clean lines, simple, functional forms, and a product that is comfortable to use. I adore the fact that people come back and let us know how they have loved a mug that they have bought from us. When you buy something handmade you take better care of it, and take time (even if it is a few seconds) to appreciate it when you use it. How do you balance your personal time + work/how do you create separation? Unfortunately right now since we have just started our business, there is no separation between work and personal life. My kids spend a lot of time in the shop with Lisa and I. We do homework and have lunch and dinner there sometimes. Lisa does a lot of her carving at home. We get together with friends at the shop, so we always have tea and cookies stocked. It might sound overwhelming, but we do love being in the shop so we don't mind it so much. We do have our moments of complete freak out too, we are human. What keeps you motivated/why do you love doing this? Ambition is what keeps us motivated, and our supportive families. 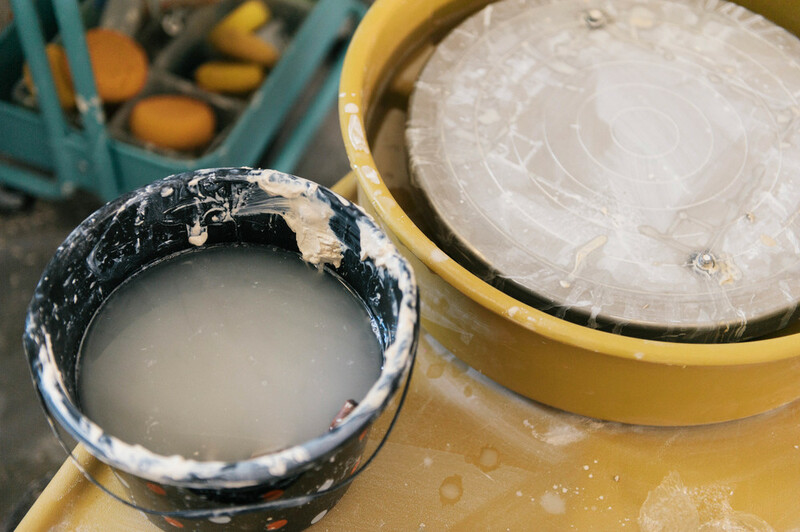 I am going to steal Lisa's words on this one, working with clay makes you feel powerful, making a bowl or a mug that you can eat out of from a lump of clay makes you feel like you can do anything. Where do you see yourself in 2-5 years/what's next for your brand? We would like to see our brand be recognized. We would like to be known for our craftsmanship and creativity.